Your work and where you live are very important to the quality of your life. If you are injured on the job or plan to buy or sell a home, it is important to consult an attorney who understands the importance of these matters. 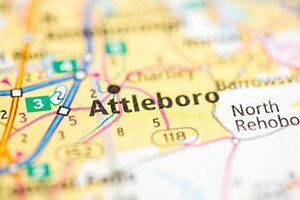 At Pulgini & Norton, our Attleboro real estate lawyers can guide you through a property transaction. We also can assist claimants who need a workers' compensation attorney to pursue benefits. For many homebuyers, it may be challenging to coordinate the purchase of a new home with trying to sell their old home. In some cases, it may be appropriate to obtain a bridge loan to bridge the gap between your closing on a new property and the closing date for your existing home. Bridge loans provide interim financing until a long-term loan comes through. While carrying a bridge loan, you can maintain the mortgages on your existing home as well as the home you purchased. Since bridge loans are designed for repayment either before you receive your long-term loan or immediately afterward, you are only beholden to a lender for a short time. If you repay the bridge loan ahead of time, the payments are made in a limited window of time. Your credit ratings will go up, as long as you make the payments. If you repay the bridge loan after you obtain your long-term loan, you must use the long-term loan to pay the bridge loan completely. There are certain risks involved when using a bridge loan. In Massachusetts, most employers, both public and private, are required to carry workers' compensation insurance. You can potentially recover workers' compensation benefits if there is a causal connection between an aspect of your job and your injury or illness. Often, insurers cite a pre-existing condition as a reason to deny a claim. Certain illnesses, such as heart attacks or cancer, may be multifactorial. However, as long as the job is a major cause of your injury or illness, you should be eligible for benefits. A pre-existing condition may make the process more challenging, but it does not bar your claim. Benefits that you may be able to receive include disability benefits, medical expenses, vocational rehabilitation, and loss of function or disfigurement benefits. Loss of function or disfigurement benefits are issued as a one-time payment. It is critical to speak to an attorney before accepting an insurer's offer related to loss of function or disfigurement benefits to make sure that the offer is an appropriate amount for the loss you suffered. Attleboro is located in Bristol County, about 40 miles south of Boston. Historically, it has been known for jewelry manufacturing, although it now features a diverse range of workplaces. Whether you are hurt on the job or are thinking about buying a house, it is important to retain an attorney whom you can trust. At Pulgini & Norton, our Attleboro workers’ compensation attorneys can advise you about each aspect of your claim, while our real estate lawyers can represent you in a property transaction. Contact Pulgini & Norton at 781-843-2200 or through our online form to set up a free consultation.